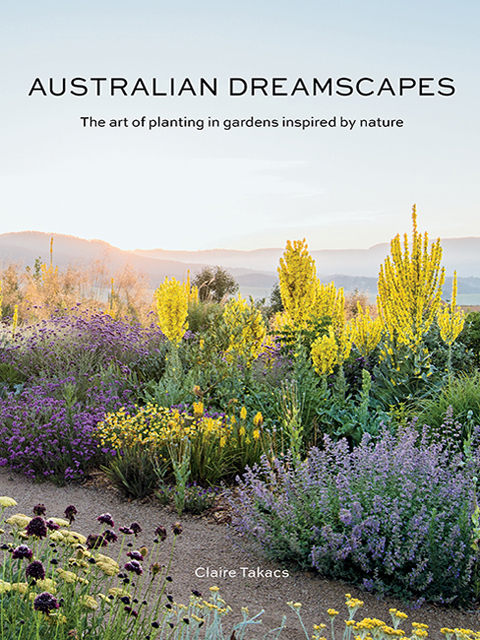 In Australian Dreamscapes, internationally renowned and awarded photographer Claire Takacs showcases the varied gardens found in the Australian landscape, from lush green oases to semi-arid settings. Claire profiles Australian gardens, gardeners and garden designers who are drawing on the international movement towards a more naturalistic approach to planting design and exploring a more naturalistic approach to planting. The gardens are highly biodiverse, densely planted and aesthetically driven. While showing sensitivity to their surrounding landscape, importantly, they are not excessive in their use of resources, especially water. Similar to the New Perennial movement and Prairie-style, these gardens take into consideration how plants grow in the wild and have created highly textural, visually pleasing gardens that appeal not only to our love of beauty, but that sit gently in their surrounding landscapes, giving a strong sense of place. Australian photographer Claire Takacs loves to travel, capturing beauty & inspiration in gardens & landscapes. Her work is published in magazines & books internationally particularly while working with light. She sees gardens often as works of art and believes in their ever increasing importance in our daily lives. Her work is widely published in magazines internationally, including Gardens Illustrated, Garden Design, House & Garden, Country Style and Morning Calm. She has contributed to several books. She won the Inaugural International Garden Photographer of the Year Award in 2008 and each year continues to be recognised in the industry for her work. Her first book Dreamscapes was published in 2017.